I have never heard about Mediheal before but apparently, it is a brand that was created and tested by aesthetic specialists by incorporating special skin prescription based on targeted skin concerns. On the box, it stated that Mediheal uses highly concentrated formulation of natural materials, helps your unbalanced skin become healthier by making it resistant to stress and restoring skin balance. 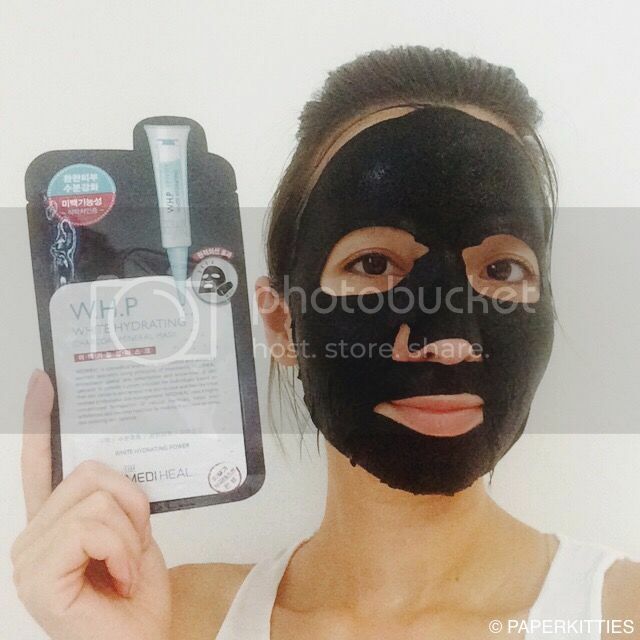 Is Mediheal W.H.P White Hydrating Charcoal Mineral Mask as good as it sounds? Read on! This box opens up to 10 sheets, each mask aims to help improve skin tone and hydrate dry skin for a luscious, water-shine skin. 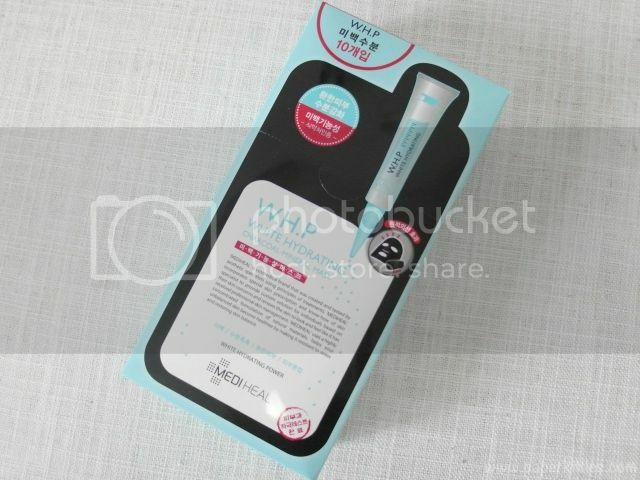 The black (charcoal) mask sheet as seen below also helps improve the overall effects and help recover skin’s vitality. Yes, the quality of a mask sheet really makes a difference, which explains why I am very particular on the quality and would rather spend more than put up with those flimsy ones. I love how the mask was soaked in just the right amount of watery, gel-like product and didn’t drip all over when it was on. It’s super duper hydrating, I kid you not! I like putting this on after my hot yoga classes or when my skin is feeling irritated as it feels really soothing and comfortable. Skin feels really plump and hydrated after 15 minutes and the annoying blemishes looked much more calm too. Finally, a product that truly delivers what it claims and more!